It is the season of layering; a trick that not only keeps you warm, but makes any outfit just a bit more interesting. 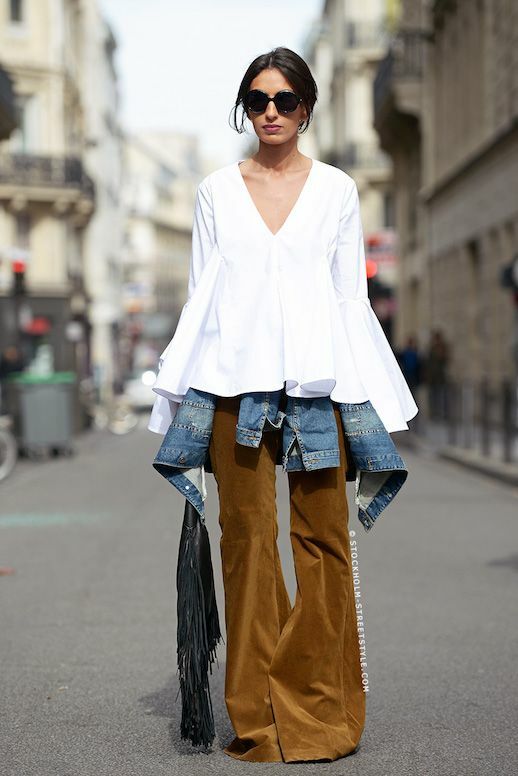 Natuka Karkashadze keeps her layer game strong in her white top with flared waist and sleeves over a denim jacket and wide-leg suede pants. If you're going to attempt this trend, go all out.